The legal battleground to get a key new employer on the West Coast back on the rails is unlikely to have clear gun sights until early next year. A detailed report in the Fairfax media (soon to become part of the Australian Channel 9 group) said Rangitira Developments has applied to the Supreme Court for leave to appeal a decision that dealt a “body blow” to the future of the Te Kuha open-cast mine near Westport. The company had been granted resource consent and an access agreement for its plans to develop a 116 hectare mine at Te Kuha. However, the Government declined an application to mine 12 ha of conservation land. Last month, Fairfax reported, the Court of Appeal ruled the Buller District Council misinterpreted its role under the Reserves Act in granting the mining company access to 104 ha of council reserve land. If commissioned Te Kuha mine was to have had a 16-year lifespan in exporting coking coal for steelmaking and employ 58 people. The anti-mining group Forest and Bird had appealed the resource consents to the Environment Court. That case has yet to be heard. It also won a Court of Appeal case over how the council could decide on use of its water conservation reserve where the proposed mine would be located. Rangitara, owned by contactor Stevenson Mining, has now sought leave to appeal that decision to the Supreme Court. Stevenson Mining’s chief operating officer Anne Brewster told Fairfax the company had received legal advice that they had grounds to appeal. She did not expect a decision until early next year. 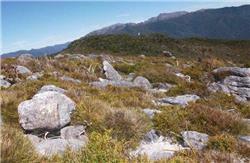 The mine proposal, she said, had the support of the Buller District Council and the wider West Coast public. It said the Court of Appeal decision had a major economic, environmental and social impact on future mining developments in New Zealand. The Te Kuha area overlooking Westport.